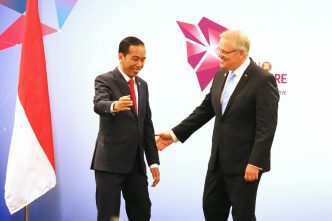 Indonesia and Australia were supposed to sign their long-awaited bilateral free-trade agreement last week at the East Asia Summit in Singapore. But the deal has apparently been put on hold. Trade Minister Simon Birmingham said translation issues were partly to blame for the delay. 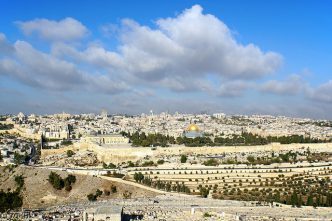 But it’s hard to deny that Australia’s plan to relocate its embassy to Jerusalem loomed large. 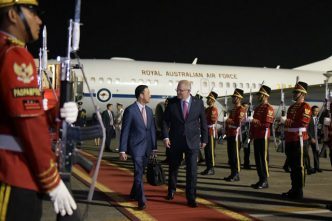 Some Australian officials and politicians believe the embassy proposal is foolhardy, while others say that Indonesia shouldn’t ‘dictate’ Australian foreign policy. The issue, of course, isn’t about who dictates what. It’s simply that, as Newton’s third law says, ‘For every action, there’s an equal and opposite reaction’—even in foreign policy. Will Jakarta unravel a trade deal that has taken years of painstaking negotiation over what some might argue is a ‘symbolic’, if not ‘emotional’, issue? The Israeli–Palestinian conflict may not be Jakarta’s bread-and-butter national interest. But it touches on one of the key foundations of Indonesia’s foreign policy: the promise of independence and freedom from the debt of decolonisation. Indonesian President Joko ‘Jokowi’ Widodo said that Indonesia’s support for Palestine stems from President Sukarno’s pledge in 1962: as long as Palestine is not independent, Indonesia will always stand opposed to Israel. That promise can be traced back to before Indonesia’s independence in 1945. Palestinian nationalists then supported Jakarta’s quest and even helped persuade Egypt to recognise Indonesia. For better or worse, Palestine was part of the formative period of Indonesia’s ‘independent and active’ foreign policy. But the support for Palestine doesn’t mean that Indonesia’s foreign policy is strongly ‘Islamic’. As the current Indonesian ambassador to the UK, Rizal Sukma, has written, Islam has never been the defining framework for Indonesia’s foreign policy. When the ‘Islamic factor’ comes into play, it is always driven by domestic political considerations. This brings us to the second reason for Indonesia’s opposition to the embassy proposal: in an election year, a weak stance in the Israeli–Palestinian conflict could become a rallying cry to upset Jokowi’s re-election chances. Ever since Jokowi named Ma’ruf Amin as his running mate, the opposing Prabowo Subianto/Sandiaga Uno camp has found it difficult to exploit religious sentiments as they did when they brought down Jakarta governor Basuki Tjahja Purmana last year. The opposition has tried to scrape any potentially damaging issue, like the burning of Hizbut Tahrir’s flag by members of the Nahdlatul Ulama, Indonesia’s largest Muslim organisation and a critical Jokowi supporter. So far, we have yet to see any serious snowball effect that might ruin Jokowi’s re-election chances. But if Australia relocates its embassy, the opposition might finally have something. The opposition has often painted Jokowi as a ‘neo-liberal’ who is ‘selling out the country’, as evident in Prabowo’s campaign speeches. The embassy move could inflame those attacks by adding a religious component. An official with the National Mandate Party (PAN), a member of Prabowo’s coalition, noted that the proposal could affect Indonesians ‘at grassroots’ level and ‘some of them might be the radicals’. Civil society groups have also warned that if Australia follows through on the proposal, moderate and radical groups will see it as a ‘green light’ to ‘punish Australia’. While the economic benefits of a free-trade deal are significant, it is politically risky to be liberalising trade in an election year—or ‘opening up the country to foreigners’, as the opposition might say—especially with a country that might be seen as hurting the Palestinian cause. A combination of religious identity politics and anti-liberalisation rhetoric might be enough to give the Prabowo camp some momentum heading into the election. Finally, the embassy move reignites a dormant but significant perception in Jakarta: that Australia always follows America’s lead, even it upsets its neighbours. Nadjib Riphat Kesoema, who served as ambassador to Australia from 2012 to 2017, even suggested that the Australian government should ‘distance yourselves a bit’ from the United States. 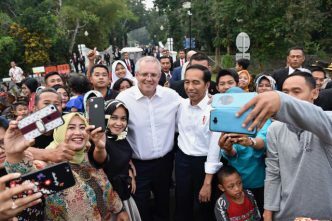 This highlights a more structural challenge in Indonesia–Australia relations: Jakarta’s perception that Australia is never fully part of the region because it can’t say no to Washington. 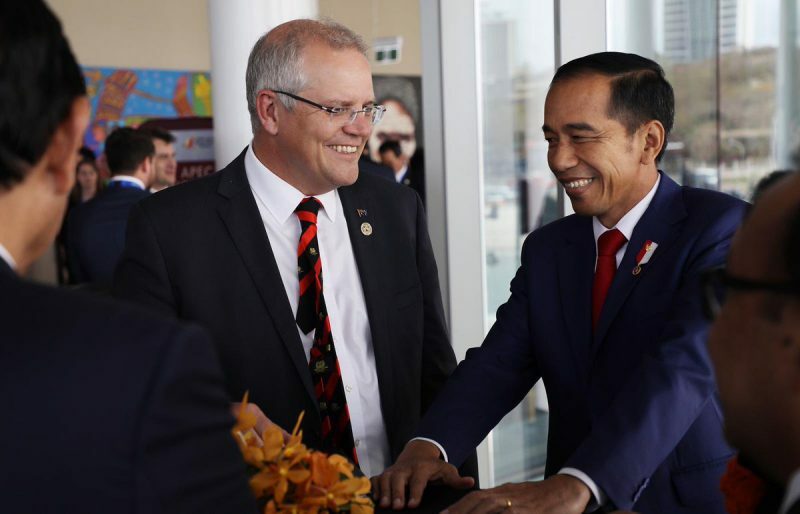 But that didn’t stop Jakarta and Canberra from signing a comprehensive strategic partnership in August—which elevated Australia’s position in Indonesia’s foreign policy calculus to the same level as America’s and China’s. 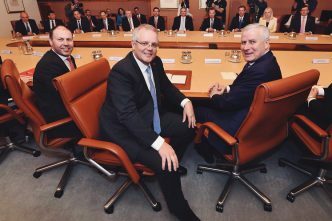 And the Australia–US alliance also hasn’t prevented Canberra from boosting its Indo-Pacific credentials or supporting ASEAN’s centrality in regional architecture. Bottom line: Indonesia’s resistance to Australia’s embassy move is more than an ‘emotional’ issue. While Australia’s alliance with America isn’t a deal-breaker for Indonesia or the region, Canberra should craft a more calibrated approach in balancing its alliance with its regional commitments. Evan Laksmana is a senior researcher at the Centre for Strategic and International Studies in Jakarta. Image courtesy of Scott Morrison on Twitter.